Located at 495 Water Street, St. John's, Newfoundland, the Railway Coastal is housed in the original refurbished Riverhead Train Station built in 1903. 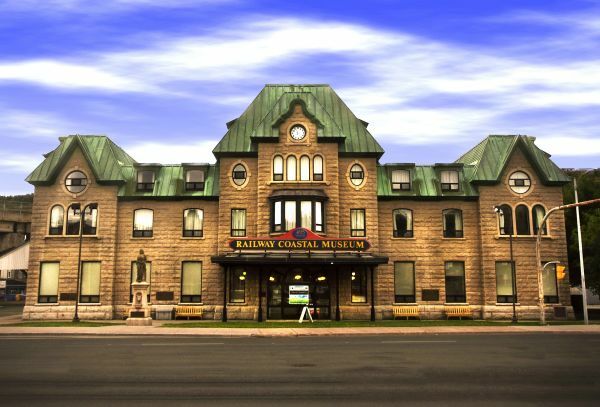 The museum is dedicated to interpreting the history of the Newfoundland railway system from its inception in the late 1880's to its closure in 1988 as well as the history of the provincial Coastal Boat Service. Whether you are visiting as a family or as part of a group, the Railway Coastal Museum allows you to experience the fascinating story of the great initiative, courage, and sacrifice involved in building and operating the Newfoundland Railway and Coastal Boat Services. * 42 Pictorial Themed Exhibits. * 1940s Passenger Train Diorama. * 21 Costumed 1940s Figures. * 28 Models, Murals, Paintings. * 22 Posters, Biographies, Maps. * Automated Train Model representing the province of Newfoundland during all four seasons.